A woman who lost more than 21 stone through weight loss surgery says saggy skin left by the NHS-funded procedure has turned her life into a nightmare. 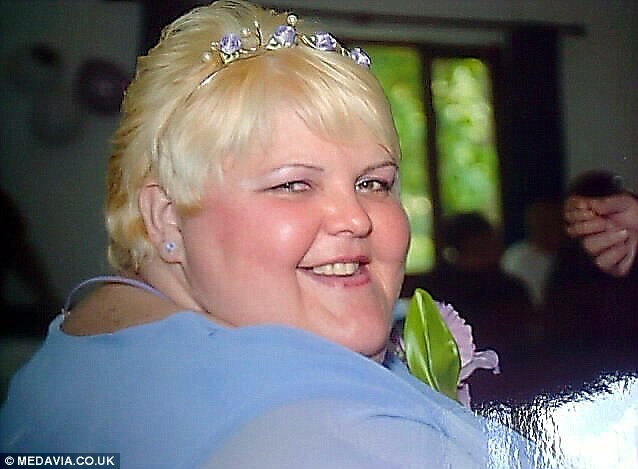 Natalie White, 48, is demanding NHS bosses fund more surgery to remove the excess skin from her stomach, arms and legs after she shrunk from 35 stone to 13st 11lb following a sleeve gastrectomy. She said: ‘In the summer, it’s a nightmare. The skin rubs and leaves rashes all over my stomach. Natalie, who had her operation in July 2011, is being supported by husband Terry, 48, who also had an NHS operation in June 2012 to lose 11 stone. Natalie said: ‘The NHS keep moving the goalposts. They say my body mass index number needs to be below 25 to approve the funding, but my BMI is steady at 29. Natalie, of Harwich, Essex, hopes to be classed as an exceptional case and plans to persuade decision-makers at the NHS North East Essex Clinical Commissioning Group to sit down with her for a face-to-face meeting. ‘I need several operations, including an apronectomy to remove the skin on my stomach. My GP has told me that to pay for everything myself would cost between £25,000 and £35,000. ‘There’s no way we can afford that. It’s absolutely ridiculous. Natalie’s weight steadily rose since childhood when she began comfort-eating to combat loneliness and anxiety. In her teenage years she became a heavy drinker. 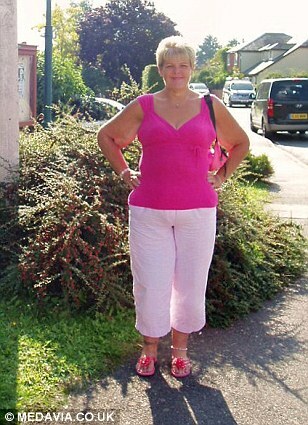 By the time she was in her mid-30s, her weight had ballooned dangerously to 35 stone. 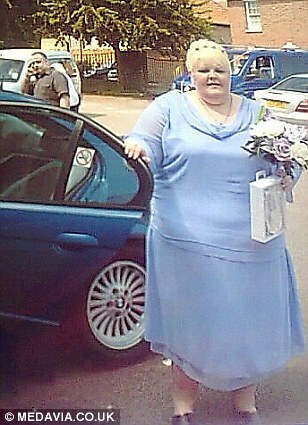 She attempted to shed the weight through dieting and exercise, but when she married Terry in June 2007, she still weighed 28 stone. By 2010, Natalie was effectively housebound and a visiting GP told her she needed to lose weight urgently. Natalie said: ‘The doctor told me that unless something changed, my organs would start to fail. Terry said: ‘Me and Natalie had to sit in front of a panel of six managers and basically beg them to approve the surgery. In July 2011, surgeons carried out Natalie’s sleeve gastrectomy surgery. 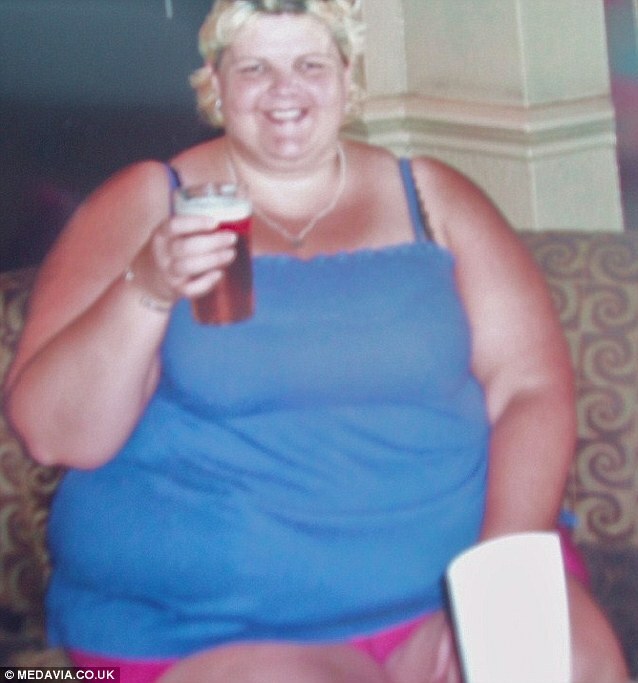 Over the next year, through a baby food diet and an incremental exercise regime, she lost a staggering 15 stone. Natalie said: ‘All I could manage at first was pacing in the hallway, but eventually I could start walking outside and riding my bike. ‘The weight came off really quickly at first before stabilising at my current weight. I feel like a completely new person. Then, in June 2012, Terry was approved for a gastric bypass after a doctor judged his obesity to be causing chronic back and leg pain. He went from 25 stone to 13st 7lb. 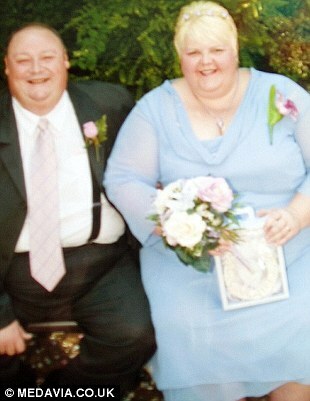 Between them, the couple have lost more than 30 stone. Years of obesity have left Natalie with a series of health problems and unable to work. Terry, who is diabetic, acts as her full-time carer. 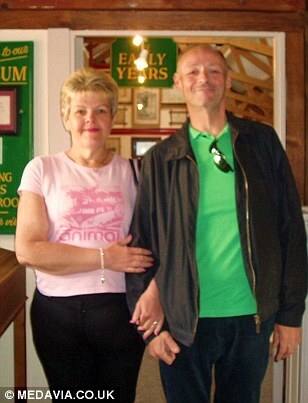 Terry said: ‘We’re able to do things together now like day trips which we couldn’t do before. We’ve been brought much closer together. ‘We just have one more hurdle to get over, and that’s persuading the NHS to remove Natalie’s saggy skin. Natalie is currently waiting to see whether she will be classed as an exceptional case by the North East Essex Clinical Commissioning Group. 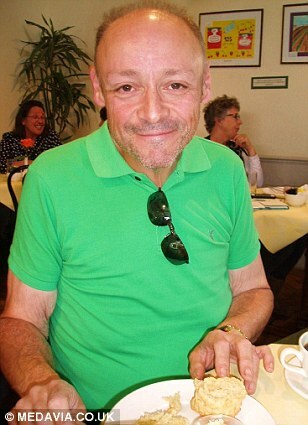 A spokesman for NHS North East Essex Clinical Commissioning Group said: ‘To protect a patient’s privacy, we won’t comment on the circumstances in this case. However, we do always have to make sure that taxpayers’ money we spend is only used for health needs. ‘We have to have a way of assessing that, so we have a policy which looks at the BMI of the patient and whether they are severely limited in what they can do because of the condition. ‘If a patient is assessed as not having medical needs in this way, then their doctor can still argue on their behalf that they have other “exceptional” care needs. ‘This appeal is tested by the Clinical Commissioning Group, which funds any treatment, according to whether the patient is significantly different from others with a similar issue, and whether that patient would benefit significantly more than others.